These are exciting times in the mobile app industry. Marketers have never had such an abundance of data and insights available to them–mountains of information to help support strategy and deliver success. But, in spite of this, one of the most common mistakes mobile app marketers make is that they treat their users as numbers or installs, rather than people. Increasingly, we’re hearing marketing experts talk about the importance of having a 360-degree view of your user base. What does this mean, and why is it important? Of course, the term takes its name from the number of degrees in a circle, and, in essence, refers to utilizing a broad, complete, and “all-around” view. It’s a panoramic view as opposed to the traditional narrow approach of sampling select data, such as downloads and uninstalls. In mobile marketing terms, a 360-degree view is all about understanding the people using your app. How do they use it? When are they most active? Why do they use it or, in other words, what value are they looking for from your app? How often do they use it? And, when users delete your app, what is the trigger? By gaining a nuanced view of your user base, you can effectively tailor your efforts throughout every stage of your relationship with them for maximum success in user acquisition, engagement, and retention. This helps you stay away from guesswork and pursue the tactics that work best for your specific user base. 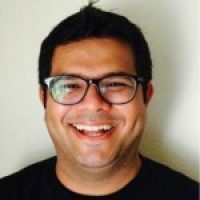 By better understanding the journey your users undertook when they first found your app, you can establish which techniques really work and adjust your user acquisition strategy accordingly. For example, if a high number of users found out about your app via social media, you could allocate more funds to run paid campaigns on Facebook and Twitter, scaling back on other tactics that don’t quite work as well. Equally, if you can ascertain what keywords those top-of-funnel app users are searching for and what visuals capture their attention, you can optimize your App Store presence by incorporating high-performing keywords and switching out your creatives. Try out different icons, preview modes, videos, and screenshots of your app. Understanding your users’ pain points, motivations, and their unique journey gives you power to replicate the stuff that works and, ultimately, acquire new, highly-engaged users. Once users have downloaded your app, don’t market to them immediately. Build your cohorts to understand how they really use it. For instance, for an e-commerce app, are they comparing products found via the direct catalog or search feature? Profile your users and their usage patterns. Once you understand your users’ habits and usage patterns, you can incentivize them to share your app, rate it, or upgrade their membership. Some apps have a free version with limited capabilities and a paid version with the full set. These types of questions are the nuts and bolts of your app’s engagement metrics, but, without scratching the surface first, you’ll always be relying on guesswork. You need to first understand your users and their behaviors, then market to them. Crucially, taking an interest in the behavioral patterns of users who churn gives you the power to intervene beforehand and stop other users from doing the same. Take a look at metrics like the drop-off rate from app install to sign-up, time spent in the mobile application, push notification opt-in rate, and the number of new vs returning users per day. If users are churning on the second or third day after you send an onboarding push notification, you may need to revise your messaging or delivery time, or fine-tune your targeting. Whether it’s through push notifications or personalized emails, you can reach out and engage these users as soon as you identify when they’re at risk of leaving. As in any industry, the better you understand your customers, the better you can anticipate and respond to their needs. A 360-degree view of your mobile app users gives you the best possible chance of delivering what they want, when they want it and, ultimately, will drive your app to be as profitable and successful as it can be. What other tips do you have for incorporating a 360-degree view of your mobile app users? I’d love to hear them in the comments below!